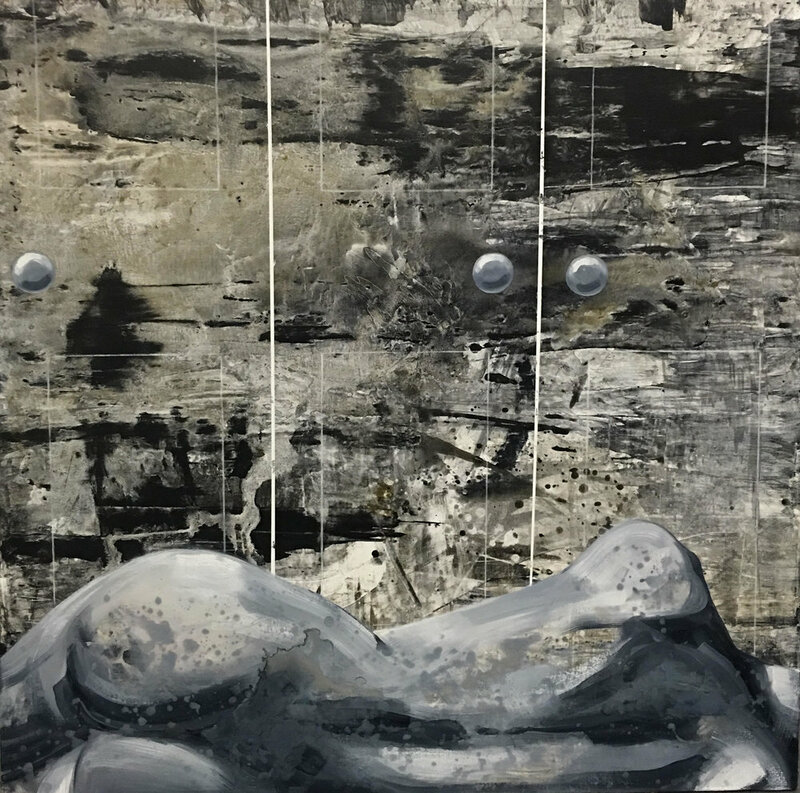 2017 / Acrylic and Oil on Canvas / 48" x 48"
Catarina Mantero was born and raised in Lisbon, Portugal, where she developed a deep connection to the ocean. A graduate from the New York Academy of Art, she is fascinated by the fluidity and mystery of the human predicament. Throughout her artistic journey, she has been deeply committed to the exploration of the infinite possibilities of paint and its handling towards the significance of a picture. Through the construction of transparent layers interspersed with personal iconographies, she builds up her surfaces, and their stories - as if playing with water.